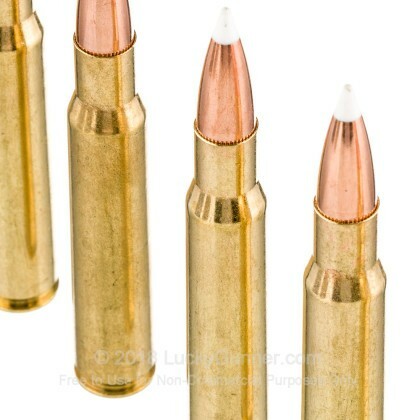 The 30-06 was developed by the prestigious Springfield Arms back in 1906 and quickly became one of the most popular rifles in the world. 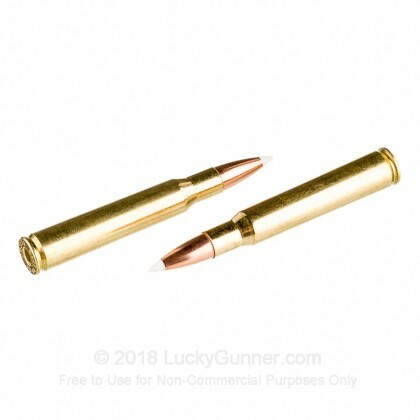 Not only did it make a phenomenal long range, high powered hunting rifle, it was also used in the military as a sniper rifle for decades, showing just how effective and reliable this amazing cartridge is. 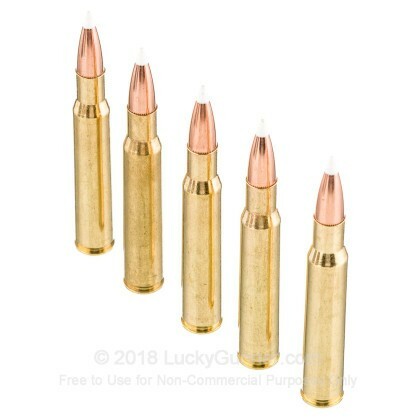 With this round, you can take down deer, elk, and bear, giving you exactly the hunting rifle you need. 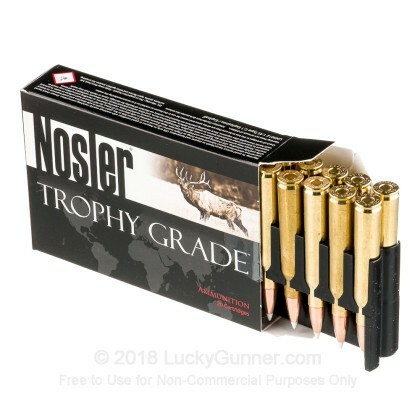 Nosler has been making the world's best bullets for years. 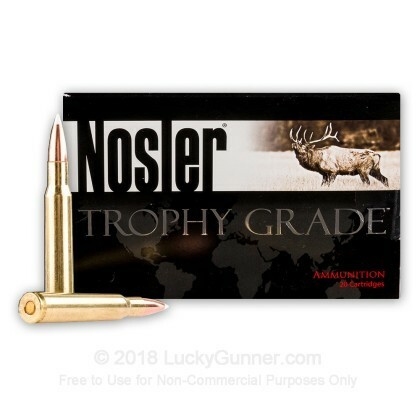 When you need to take down any animal, Nosler is the first brand many people turn to. In fact, many other manufacturers attempt to emulate this company due to their superior manufacturing. 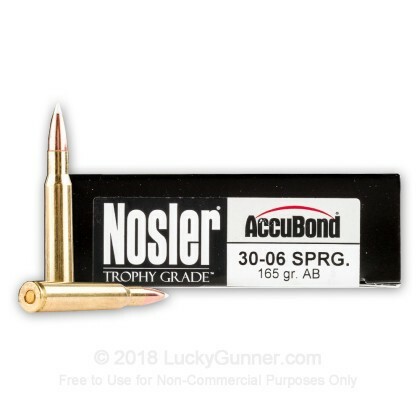 Firing at 2800 feet per second, these Nosler Custom Trophy Grade, 165 grain, Accubond polymer tip, brass cased, boxer primed rounds, you can take down deer and the mighty elk.